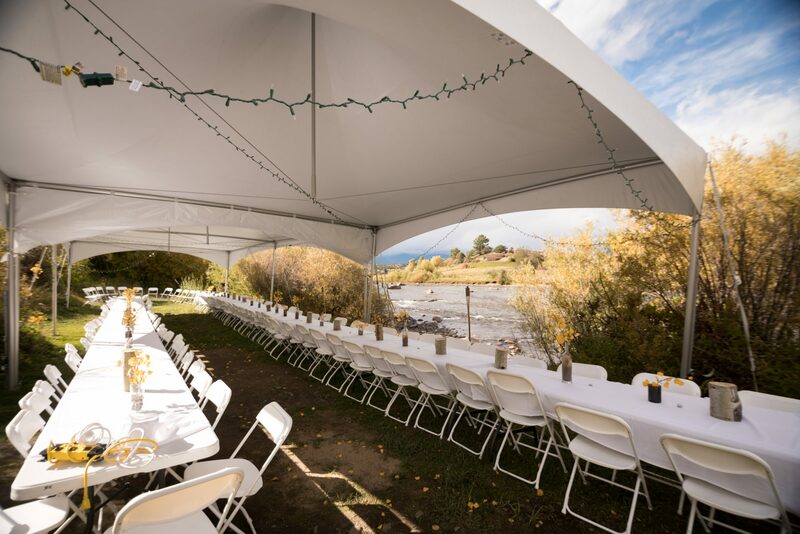 Host your special event at our riverside venue and enjoy some of the best views that Colorado has to offer. The collegiate peaks provide a wonderful backdrop to this somewhat primitive venue on the banks of the Arkansas River and the entrance to Browns Canyon National Monument. Event rental includes access to potable water, trash/recycle facilities, and port o pot toilets. There are NO electrical hook-ups.